EgyptAir announced a range of offers on flights to various destinations around the world. The company offers its customers a 25-percent discount on flights to Paris from May 31 to June 13. 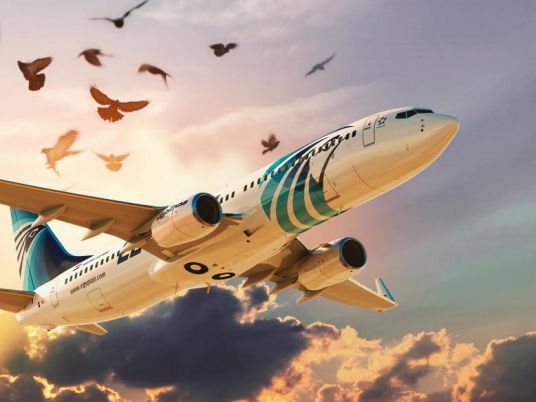 The Egyptian airline also offers a 25-percent discount on flights to Bangkok, and the purchase of tickets is available for this offer from June 25 until November 30. There is also a 40-percent discount on the company’s flights to the Spanish capital Madrid on flights departing on June 7 only on its latest B737-800 NG aircraft with personal monitors at all levels of travel. EgyptAir is also offering 30-percent discount on its trips to Berlin when buying a flight ticket until June 14. In May, the airline has announced that it will be adding a flight every Thursday to Berlin starting from June 7.